Jake packets could be dangerous for health? I have been taking 22 pakets per month of JakeFood for a year and a half and I would like to know if the interior pakaging has aluminum as it seems with the silver appearance it has. 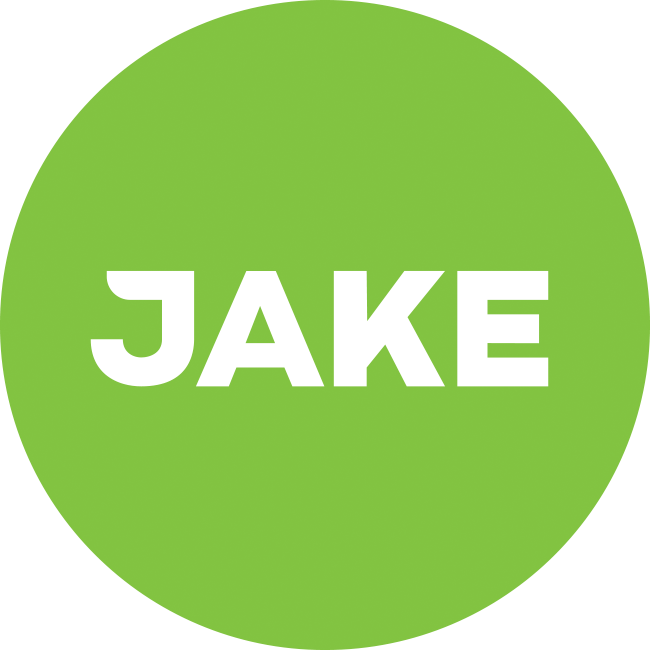 We also need to know in order to continue consuming Jake with assurance that the company do a component analysis after 10 months of food inside the packaging. Finally I invite more consumers of JakeFood to take an aluminum test and explain the results. I must get myself tested also... Have you done any other types of blood tests? If so what was the results, anything positive? Which variety have you been eating? I think Forest Fruit has extra citric acid. It is not my intention to alarm anyone, but I think it was important to share this information for everyone's safety and because I would sincerely like to continue taking JakeFood safely in the future. The rest of the blood test was all perfectly successful and my doctor told me that the nutrients that appear on the list are the best he has seen in this type of lyophilized food. I have seen in other food packages the interior aluminum does not shine as much as in Jakefood because I think they put on a protective layer. Hi @Guia_de_tendencias, thanks for sharing. The inner layer of the packaging, the layer that comes in contact with the product, is polyethylene (PE), not aluminium. Although you shouldn't eat the packages, they're not dangerous to your health and will not have been the cause of your elevated blood aluminium levels. Please note that whilst Jake is tested for heavy metals, hardly any other type of food is. Aluminium is the third most abundant element on earth and is found in all of our food and drinking water. Other than from any other food or water, your elevated blood aluminium levels could be caused by e.g. recent use of aspirin or antacids. Have you by chance used either of these recently? Julian, thanks for the answer and clarification on the inner sheet of the package. I have never used aspirin or antacids and the only explanation I can give then to my high level of aluminum is the anti-perspirant deodorant "Nivea for Men" that I have used in abundance for the past 10 years. I am a person who breakfast and dinner very healthy and I consider, along with the recommendation of my doctor, to eat at noon 1 package of Jake, it is also very healthy if the issue of aluminum is ruled out by having this protective film. Hi @Guia_de_tendencias, just to share the testing results with everyone here as well. As explained, aluminium doesn't migrate in significant amounts. Which is one of the reasons why aluminium is so widely used in cans, pouches (e.g. potato chips packaging), pots, et cetera. Nevertheless, we did test put our pouches to the test. You can find the test results here and an appendix here. Thanks Julian, for your interest and way of working on this topic. I will continue to trust fully in your brand. What worries me is the iron content mixed with vitamin C which makes for even more iron absorption. Adult males need no additional iron supplementation in their diet (unless anemic) as we have no way to eliminate iron from our bodies nor do post menopausal women. Also check out your multi-vitamins, guys, to make sure it's a "male"· formula or simply iron-free. I have a blood disorder, Hemochromatosis, which makes me absorb about 4 times as much iron as other so I am acutely aware of the situation. I would love to buy the product but it's too risky for me. Keep well! How much iron is oké for a male? I'm eating/drinking 3 shakes a day and sometimes an extra bar ( total 24mg iron ) for like 3 weeks now. What is the story with vitamin C and iron is it really dangerous? Should I stop eating/drinking 3 shakes a day? Iron is an essential mineral. We need iron as a building block of a couple of very important proteins in our body. One of those proteins is haemoglobin, a protein in our red blood cells that carries oxygen through the body. Which explains why one of the symptoms of iron deficiency is fatigue: Energy production requires oxygen, and when insufficient oxygen is distributed to our cells, we can't produce enough energy. So, red blood cells have iron contained in haemoglobin protein. This is called heam-iron - which is relevant to our story. When you eat steak, you consume a good amount of haem-iron. Iron in our food that isn't contained in haemoglobin is conveniently called non-haem iron. The iron we get from spinach, for example, is non-haem iron. This form of iron, non-heam iron, isn't absorbed very well by our body. "Non-heme iron absorption is lower for those consuming vegetarian diets than for those eating nonvegetarian diets. Therefore, it has been suggested that the iron requirement for those consuming a vegetarian diet is approximately 2- fold greater than for those consuming a nonvegetarian diet. Recommended intake assumes 75% of iron is from heme iron sources." The absorption of non-heam iron is lower than the absorption of haem-iron. As Jake is vegan, the iron in Jake is non-heam. Which means we need a bit more of it to offset the lower rate of absorption of its iron. That's why Jake provides about double the amount of iron. Please note that even if the iron in Jake was higher it would still be well below the upper limit. Our body regulates the amount of iron that it absorbs and distributes. When we have too little iron in our body, our body absorbs more iron and distributes the iron it has to the places that need it most. In the case of excessive iron in the body, it's the other way around. This way, the body iron content is linked to demand. As long as we stay within sensible boundaries, we don't have to worry about iron overdose. However, people with the inherited condition hemochromatosis have trouble regulating their iron absorption. In such cases, as mentioned by @Scottoboe, you'll have to help your body do its job by keeping record of the amount of iron in Jake/any foods you eat. Besides the control mechanisms of our bodies, the absorption rate of iron can also be affected by e.g. the presence of vitamin C, as @Scottoboe mentions. This effect is limited and is also counteracted by the presence of e.g. calcium and phytic acid from the oats in Jake, which both inhibit the absorption of iron. I hope this helps. Let me know if you have any questions unchecked. Also, check out about our blog regarding iron here.